Why strawberries? 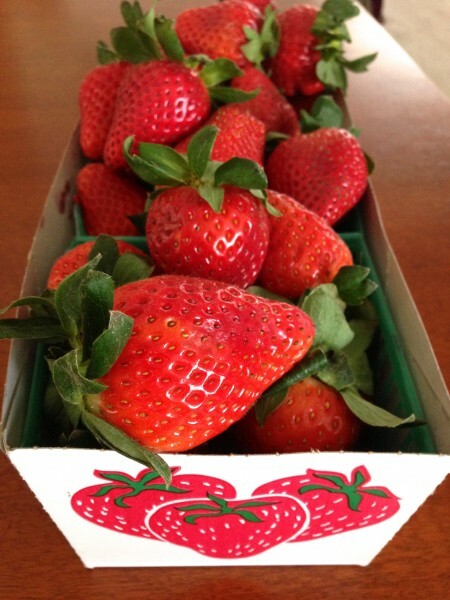 If you live in Southern California like we do, they’re just coming into season at the farmers’ markets (yay!). But if you live elsewhere in the country, you may be starting to see more fresh strawberries in the grocery stores as well. 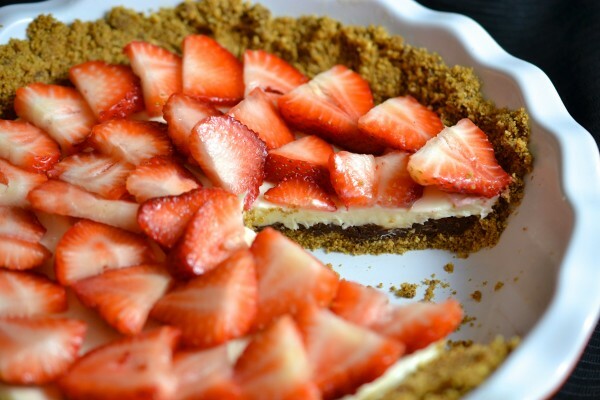 Usually these early season berries are a little more sturdy (as opposed to the soft ripe strawberries of the late season) and are easier to use in layered desserts like this one. This pie is just about as flexible as you want it to be. Want to use a store-bought crust instead of your own? No problem. Want to skip the chocolate layer? Sure thing. Need to use cream instead of half-and-half? We’ll never tell. Want half raspberries and half strawberries? Go for it. This pie is easy and forgiving – just like you’d hope a pie would be. 1. Prepare the pie crust (if you are making your own) and let it cool. 2. In a microwave-safe container, melt the chocolate chips until they are soft. Stir in the half and half, mixing well until no lumps remain. Carefully spread the chocolate mixture on the bottom of the pie crust so that it is evenly distributed. Let the chocolate mixture cool until it begins to set. 3. In a medium bowl, combine the cream cheese and powdered sugar and whip together until smooth. Carefully spread the cream cheese mixture evenly over the chocolate layer. 4. 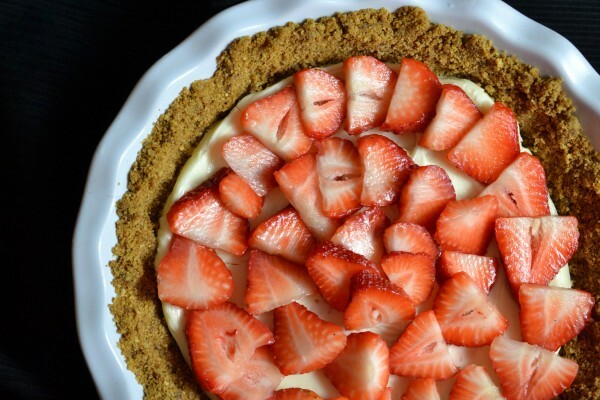 Arrange the strawberries in concentric circles on top of the cream cheese layer. Chill pie until ready to serve. Serves 8. Can you eat just one slice? We can’t. Don’t give it all away to Suzi. I want a piece or three. Lol – OK Dorothy – we saved some for you!